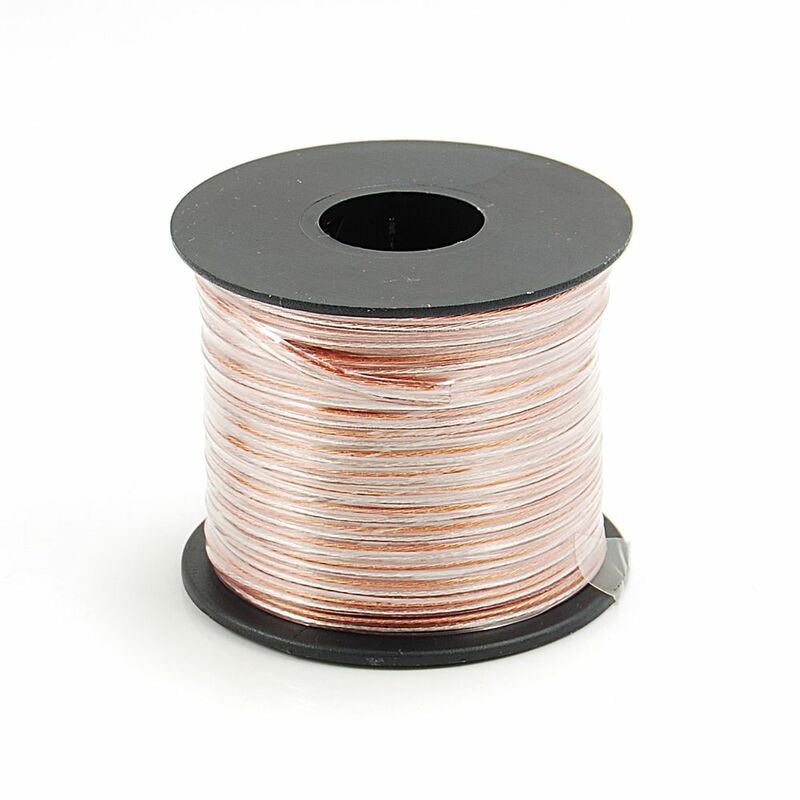 This 100 ft. 24-Gauge Speaker Wire features copper and aluminum conductors insulated and jacketed in PVC. It has very good flexibility. Use this wire to connect speakers to your stereo or home theatre receiver. This Electronic Master EM6816100 100-Ft 2-Wire Speaker Cable with 16-AWG is an integration of superior quality materials and technology that results in superior cables. Each cable has been carefully crafted from high-purity, signal-enhancing materials to ensure that your music and movies will always sound and look their best. This can be use with any speaker and audio equipments interconnect, it also easy to handle and installation. 100 ft. 24-Guage Speaker Wire This 100 ft. 24-Gauge Speaker Wire features copper and aluminum conductors insulated and jacketed in PVC. It has very good flexibility. Use this wire to connect speakers to your stereo or home theatre receiver. 100 ft. 24-Guage Speaker Wire is rated 4.2 out of 5 by 34. Rated 5 out of 5 by chuydela from Good deal for install some extra low watts speaker. Good deal for install some extra low watts speaker. Rated 4 out of 5 by HomeDepotCustomer from Wire does not easily allow insulation to be stripped. Wire does not easily allow insulation to be stripped.